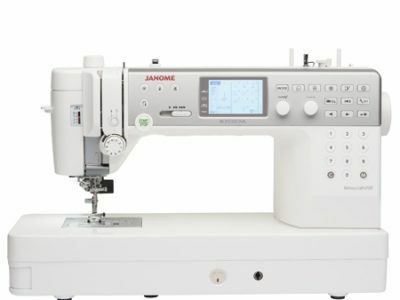 The Memory Craft 6700 Professional provides the speed and precision critical to advanced sewing and contains serious features for the serious sewist. 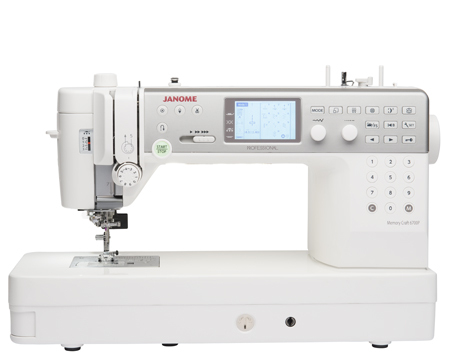 Sewing speeds of 1,200 stitches per minute make the MC6700P the FASTEST Top Loading Bobbin machine in the industry. The 10″ All-Metal Seamless Flatbed provides the perfect work space for projects large and small. In addition, quilters can enjoy exceptionally smooth quilt piecing with the included AcuFeed™ Flex Layered Fabric Feeding System.